The ultimate wildlife safari cruise – where dolphins are guaranteed! 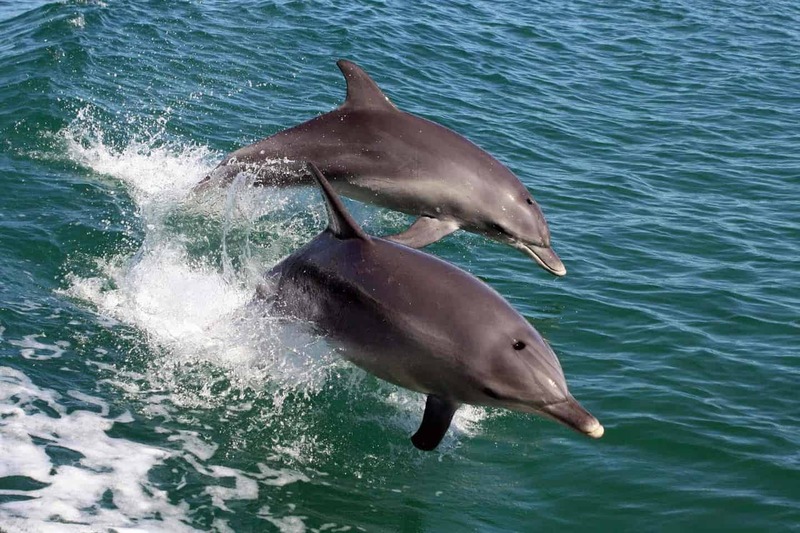 Go on a wildlife adventure on our breathtaking Mandurah dolphin tour! Experience some festive magic on board our famous Christmas Lights Cruise. Dolphins cruise around us every day, and you can too. With Mandurah Cruises you will experience the best of Western Australia’s incredible natural environment. We offer cruises and tours to suit everyone. Choose from our range of exciting 1-hour, half-day and full-day marine adventures. We will take you to explore the vast, calm, inland waterways and Indian Ocean in and around beautiful Mandurah and the world-renowned Peel-Harvey Estuary. Our location in Mandurah is only an hour south of Perth by train or car. So, step out of the city for a breathtaking dolphin cruise, fishing trip, seafood tour and fun day out on the water. A trip with Mandurah Cruises is an experience you will long remember. Visit our Gift Shop online for a fantastic collection of unique gifts. We're just an hour south of Perth, Western Australia, in the dolphin city of Mandurah.